My girls are huge fans of the channel Disney Junior on the TV and they are even bigger fans of the newest programmes to be broadcast on the channel, Doc McStuffin and Sofia the First. I was asked to review the soundtrack CDs that accompany these TV programmes and there was no way the girls were going to let me turn down this opportunity. 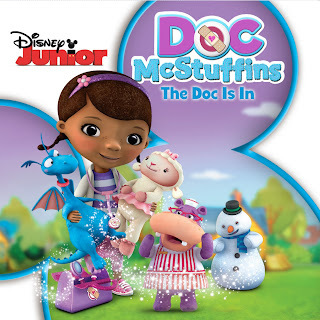 Doc Mcstuffin follows a 6 year old girl named Dottie McStuffin, she wants to become a doctor like her mum, so pretends to fix up dolls, toys etc. When she puts on her stethoscope all the toys magically come alive and she is able to communicate with them. She has her trusty stuffed animal friends, lambie, stuffie, hallie and chilly. Each episode gives advice to your children about staying healthy, helped along with catchy songs. 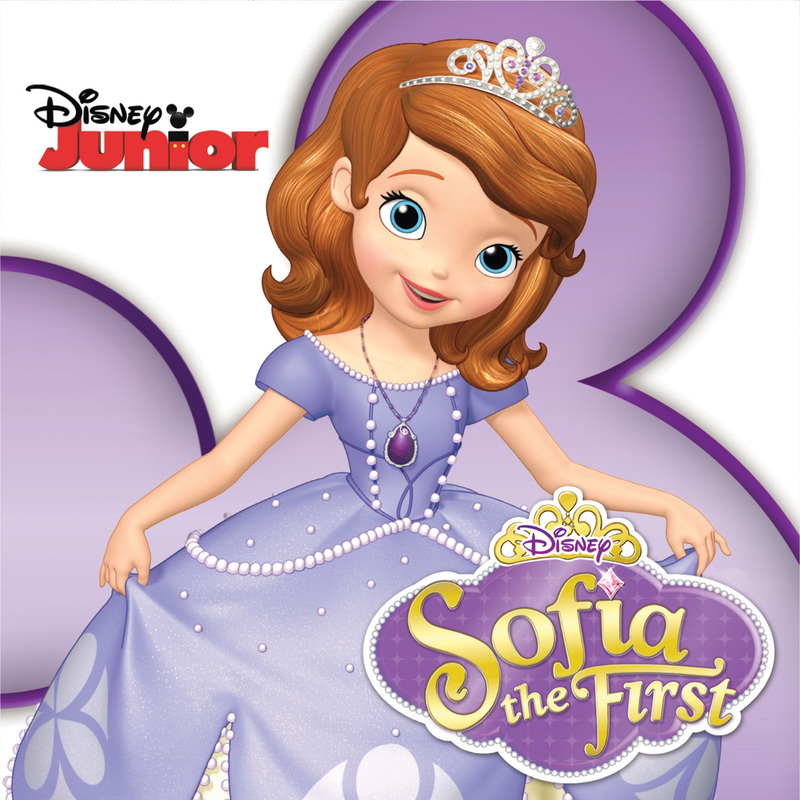 Sofia the First follows Sofia, who after her mum marries the king, is whisked off to the castle where she learns to be a real princess. Classic princesses such as Cinderella make appearances to give words of wisdom as Sofia learns lessons about kindness, forgiveness, generosity and self respect. And of course some beautifully worded songs help relay these messages. 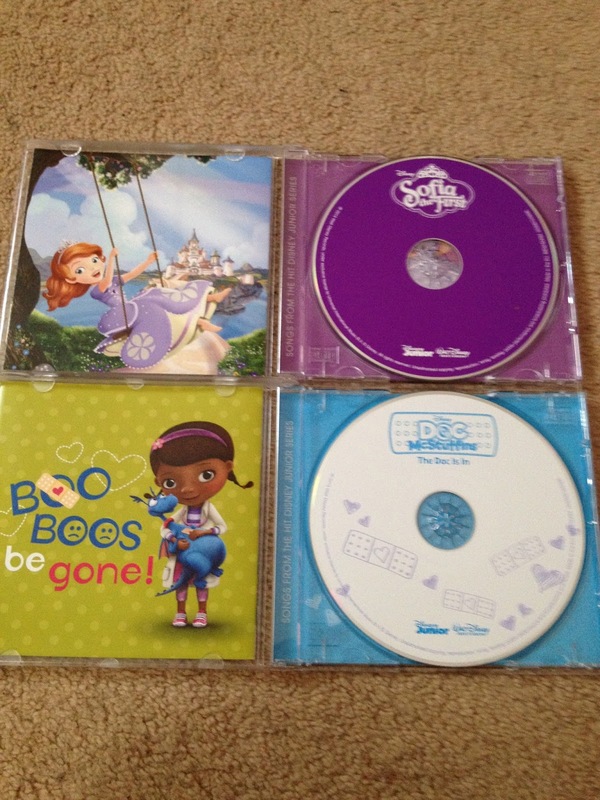 These CDs are a great edition to any little girls CD collection. All very upbeat and catchy, you can't help but know the words and sing along. The songs help relay messages of being healthy and looking after yourself and others but in a way that is fun to children. 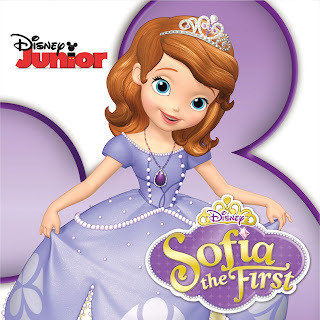 There are 13 songs on the Sofia the FIrst CD, this includes 2 bonus tracks. Starting with the theme tune, you are immediately made to get up and dance. The girls loved singing along to their favourite songs and it made them remember watching certain episodes of the programme. The series itself is aimed at 2-7 year olds and I would say the CD is aimed at the same age range. I wouldn't say it is just for girls because my almost 2 year old nephew loves to watch Princess Sofia. The CDs themselves were even made to look good, bright purple for Sofia and the Doc McStuffin one was designed with plasters all over it. I would recommend these CDs to anyone, even if you haven't watched the programmes before. The songs managed to keep my children entertained for hours and they were all singing along to them together, they actually managed a couple of hours without arguing with each other!! Disney have yet again produced enjoyable CDs that are fun for anyone who listens to them. I will admit that even I know a few of the songs and yes I do sing along to them. You can't tell me you haven't found yourself singing along to your childrens TV programmes/CDs before?? I'm a nightmare for getting kid's songs / theme tunes stuck in my head!